These are like backpacks used for standard inventory storage. They are sold empty. 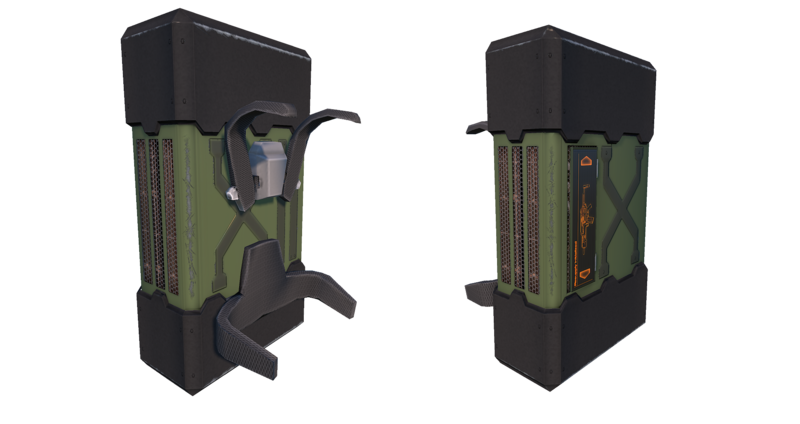 They can be found in various places in the game world, and contain energy cells, jetpacks, wingsuit/wingchute and various other inventory items. Once spawned, they are marked by Green beacons. These beacons pulse when items are replenished in the pack.